Poor communication between the supplier and buyer is one of the biggest reasons for causing confusion, frustration, and worst case, a product that doesn’t meet the requirements of the buyer. If clear lines are not discussed and agreed between the buyer and EMS provider, it can be an assumption trap, which may lead to errors that cannot be thought of! This blog looks at four areas where poor communication cannot and shouldn’t be afforded at any cost! Make sure to discuss these 4 points with your EMS provider whenever you are partnering to have a PCB assembly from India assembled. The EMS provider, after being told about the requirements, sets off to plan up a design which includes the layout as well as specification of every component to be placed on the board. Product design is in fact offered as a special service in order to offer increased value to the customers. So, if you are outsourcing the designing phase to an EMS provider, make sure you converse all about your requirements and all that should be included and excluded from the design. The provider should adhere to the Bill of Materials (BoM), while having you to approve any component changes, if suggested, due to any issues like extended lead time, or obsolescence. So, no matter if you carry the design process in-house or you outsource it, you are the final decision maker as you understand the product that you require inside out and the tolerances that it is expected to work at. It is very crucial yet difficult to manage the supply chain. You should be able to decide upon how much control you are planning to hand over to your assembly partner. You could either let your EMS provider manage the entire supply chain so that you can focus on other important issues of your business, or you may provide them with only a part of it like handling materials or managing key suppliers. Whatever it is, make sure this is clearly mentioned and sorted out between the two of you so that you both know which responsibility lies in whose hands. Any overlapping areas should be documented early on and action must be taken to clarify how the entire process should be managed. Now, coming to assembling, the entire process generally falls into the lap of the EMS provider. However, issues may occur during the building process if changes to the design are requested. Communicate any such changes formally so that the process can be managed appropriately. Any last minute changes to the drawing, BoMs, or test specifications, if not communicated clearly, can cause a hell lot of problems! So, avoid any costly reworks or delays by being perfect on communication. Clearly communicate all the tests that need to be made on the product before having it delivered to you. Agree upfront on the test strategy that seems to be the most appropriate for your product. All possible test failures and costs involved should also be discussed. The basic requirements to be checked include correct fitting of the parts and eliminating manufacturing defects. Next, operation and performance of the product needs to be checked. Again here, clarity should be made as to who is responsible for what. There is a lot to think about when outsourcing to an EMS provider. So, make sure you consider all that is written above and work on keeping everything very clear and transparent. 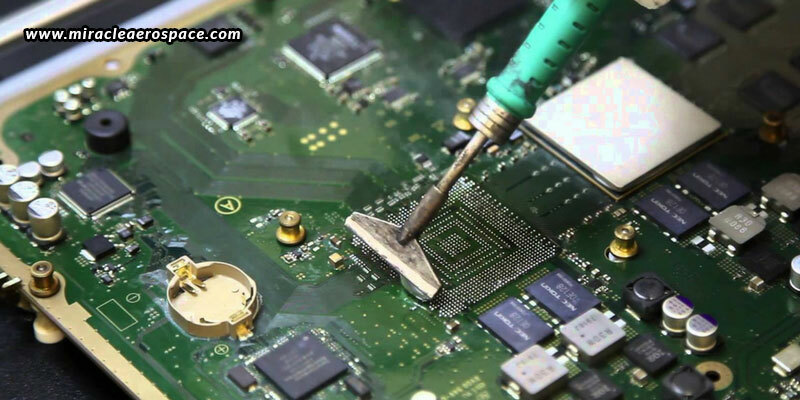 However, if you have a reputed and reliable EMS provider like Miracle Aerospace as your partner, there should be nothing to worry about as you can rest assured to have everything being carried out and taken care of absolutely well to provide you with the best quality and 100% tested PCB assembly from India.